Tools You Can Use – art. college. life. The Chronicle of Higher Education has a new website exclusively devoted to college graduation rates. College Completion, funded in part by the Bill & Melinda Gates Foundation, is designed to provide comparative graduation results for institutions across the country. Since I seldom find national rankings and listings that let me easily compare art schools, I was delighted to stumble across this site. Organizationally, the site sorts schools as public, private, community colleges or for-profit institutions. Data for individual institutions breaks out graduation rates by ethnicity and gender, identifies estimated spending per pupil, and also compares graduation rates, median SAT scores and student aid with a list of peer institutions. The hiccups for those seeking information about art programs are two-fold. First, if your intent is to include public schools in your comparison, you won’t be able to do it accurately here. This site compares campuses as a whole. The University of Michigan School of Art & Design is not broken out from general U of M statistics. You’ll have to do that comparison manually, on your own. The second hiccup is the site’s natural list of peer institutions. It lists Monroe College and DeVry as top peers for The School of Visual Arts (SVA). 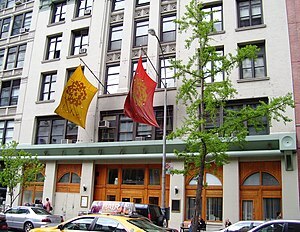 All three are private and for-profit institutions, but only SVA is known for its art program. Also, the site doesn’t recognize all art schools; I couldn’t find Parsons. Now comes the good news: the site does provide a custom field for comparing schools of your choice. It took a little work to get my comparisons, but the process was pretty straight-forward. I created a graph of six art schools in California. The result illustrates graduation rates for a 6-year and a 4-year period, the overall percentage of students who graduate, school spending per student, financial aid per student, and the percentage of students receiving Pell Grants. A very useful tool if you’re intention is an art school in California. So why should you care about graduation rates? The bottom line answer is finances – the college’s and yours. High graduation rates speak to the support you’ll feel as a student – academically, financially and in your private life. Plus, they have a direct relation to your economic success. College graduates are more likely to obtain a higher paying job and have financial security. That bodes well for the community as a whole and for the future of the institution, since alumni usually support their alma mater in one way or another. Knowing that art students frequently take longer than the traditional four years to graduate, the four and six year rates provide added information for budgetary planning.